Proactive move: India is waiting on a WTO verdict against the US imposition of customs bonds—a cash guarantee collected against any further rise in the anti-dumping duty. Kochi: Commerce minister Kamal Nath feels strongly that India has a genuine case against the US practice of zeroing for the calculation of anti-dumping duties, especially for shrimps. Nath said he is ready to take up the matter in connection with shrimp exports with US authorities and if required before the disputes panel of the World Trade Organization (WTO). “The matter has internally been discussed within the commerce ministry," Nath told Mint. “We will take it up with the US authorities early next week and only after hearing them we will decide on any further course of action such as moving the WTO." 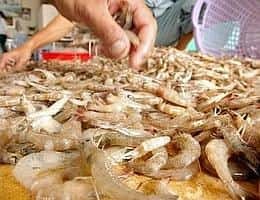 Under the practice of zeroing, the US department of commerce completely ignores shrimp sold in the US above a fixed price called fair value and instead considers only those exports which are priced below the fixed price, and treats them as “dumping." On the sidelines of the annual conference of the United Planters Association of South India (Upasi) at Coonoor, near Ooty, early this week, Nath said the US commerce department will soon conduct a second annual review of the duty, for the period between February 2006 and January 2007, and India would take up the matter immediately with the federal agency. The US practice is to select three companies as samples or mandatory respondents to represent the industry of a country. Based on the exported quantity, the federal authorities calculate an average duty for the country that is also applicable for other exporters. After the first annual review, the duty on Indian exporters went down to 7.22% from 10.54%. The three sample companies selected for the latest review of the Indian industry are Liberty Group, which now pays 4.03% duty, Falcon Marine Exports Ltd (4.39%), and Devi Sea Foods Ltd (4.94%). According to Nath, if India succeeds in forcing the US to scrap the zeroing methodology during the ongoing review, the duty burden might fall below 2% and benefit the Indian shrimp industry. India is waiting on a WTO verdict against the US imposition of customs bonds—a cash guarantee collected against any further rise in the anti-dumping duty. It is calculated at 100% of the duty payable on total exports during a one-year period and is over and above the duty and that makes it expensive for exporters.